Need to know information for the capital's top attraction including ticket prices, opening times and offers. At 135m Coca-Cola London Eye is the world's largest cantilevered observation wheel, providing up to 40 km of panoramic views on a clear day. 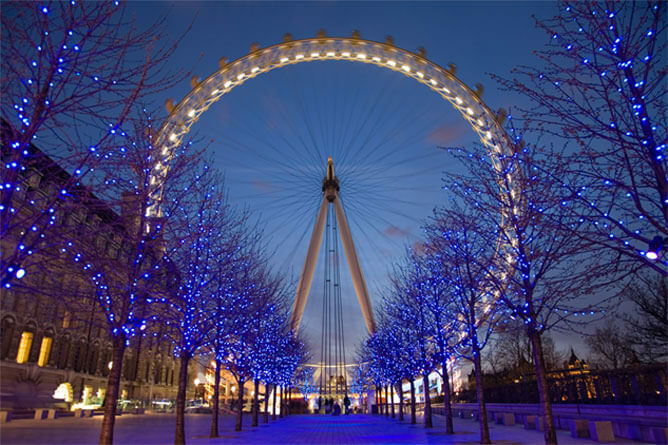 A ticket to the London Eye comes with a free entry to the sensational London Eye 4D Cinema Experience. Opening times may vary. Please visit the website for more information. Ticket office opens 9.30am every day. For prices for all ticket types, including Fast Track, Flexi Fast Track, Fully Flexi Fast Track, Flexi Standard Ticket, Day and Night Experience, Guided Tour Experience and Groups (+15 Guests) - click here. Coca-Cola London Eye is fully accessible. Wheelchairs available to borrow at a fee, pre-booking required. A view fit for a Queen. You can see around 40km from the top as far as Windsor Castle on a clear day. Each capsule comes with a Samsung interactive in-capsule guide. Supermodel Kate Moss has been on the London Eye 25 times – the record for a UK celebrity.